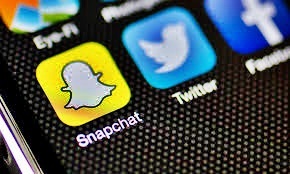 The popular social media application Snapchat has offices in Dubai. A quick browse through their website reveals several locations including Amsterdam, Chicago, London, Paris and Ukraine. Dubai is among the 18 locations where one can work for the company, and they are looking for new applicants to join their team. Snap.com has recently listed some job opportunities in their Dubai offices. The openings range from sales marketing and human resources to revenue operations and ad operations. The openings on their site are currently for regular staff. So, if you're looking for a good job to hold you down, you can apply to become part of their group. The only exception to this is the Council Facilitator whom they are hiring on a part-time basis. Below are the openings and links to further details on the positions.